Surging wheat prices drove international food prices up 5% last month in the biggest month-on-month increase since November 2009, the Food and Agriculture Organization (FAO) has announced. The FAO Food Price Index (FFPI) averaged 176 points in August, up nearly nine points from July, FAO said in its latest update on the global cereals supply and demand situation. The 5% increase brought the Index up to its highest level since September 2008, but still 38% down from its peak in June 2008. The FFPI surge mainly reflected the sudden sharp rise in international wheat prices following drought in the Russian Federation and the country’s subsequent restrictions on wheat sales. But other drivers included higher sugar and oilseed prices. FAO’s update said that the forecast for world cereal production in 2010 has been lowered by 41 million tonnes to 2,238 million tonnes from 2,279 million tonnes reported in June. However, even at this lower level, world cereal output in 2010 would be the third highest on record and above the five-year average. Among the major cereals, wheat accounted for most of the cut, reflecting mainly smaller crops in the leading producers in the CIS due to adverse weather. 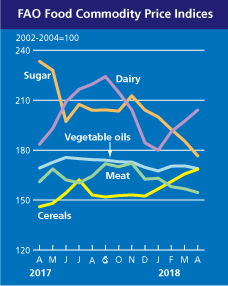 Under the present forecast world cereal utilization would slightly exceed production in 2010-11. This would trigger a 2% contraction in world ending stocks from their 8-year-high opening levels and to a small decline in world cereal stocks-to-use ratio. 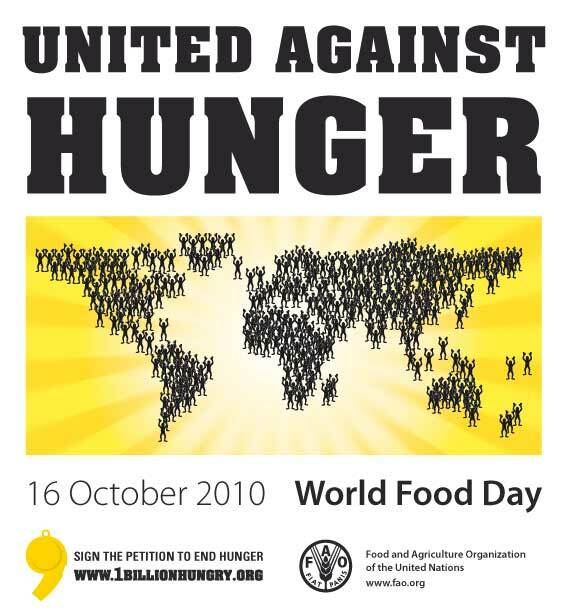 At 23%, however, the ratio would still remain well above the 19.5% low witnessed in the 2007-08 food crisis period. A further cut in the forecast for 2010 world wheat production since FAO’s last update on 4 August puts this year’s wheat crop at 646 million tonnes, down 5% from 2009 but still the third highest ever. The latest revision reflects a further cut in the estimate of this year’s harvest in the Russian Federation to 43 million tonnes (from 48 million tonnes in August) more than offsetting higher forecasts for crops in a number of other countries including the United States and China. The forecast for world wheat ending stocks in 2011 was also lowered, to 181 million tonnes, down 9% from their 8-year high opening level. The stock-to-use ratio for wheat in 20010-11 was projected at 27%, down 3% from the previous season but still 5% higher than the 30-year low in 2007-08. World production of coarse grains was forecast to reach 1 125 million tonnes, down 6 million tonnes from the previous forecast in June but up marginally from 2009 and the second highest on record. Maize production was heading towards an all-time high of 845 million tonnes, with expectation of record crops in China and in the United States. 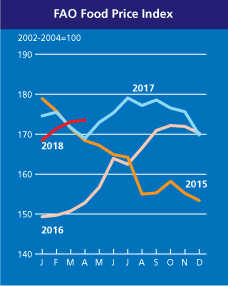 But world barley production was forecast to fall by 22% to a 30-year low of only 129 million tonnes in 2010, driven mostly by a sharp cut in production in the CIS and in the EU as a result of poor weather. 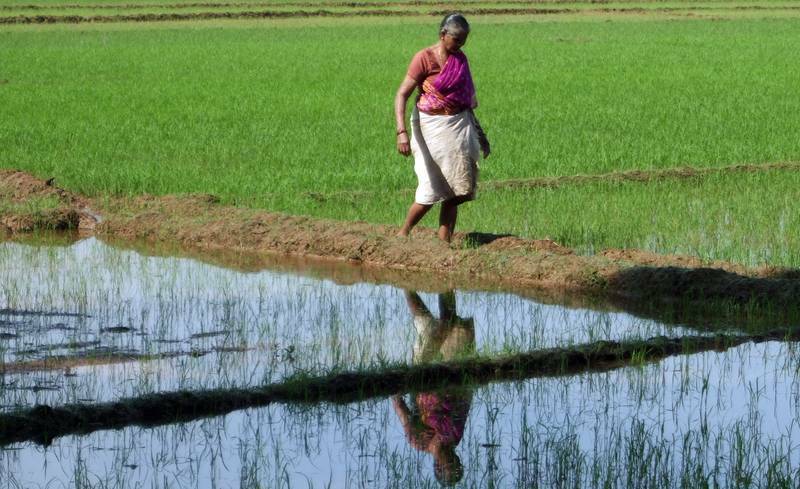 The forecast for global rice production in 2010 was also revised downward and now stands at 467 million tonnes, 5 million tonnes lower than the June 2010 forecast but still 3% more than in 2009 and a historical record. Much of the revision was the consequence of Pakistan’s floods but it also stemmed from lower expectations in China, Egypt, India, Laos and the Philippines. The recent disturbances in world cereal markets will be examined by delegates meeting at a special one-day session of FAO’s Intergovernmental Group on Grains and Intergovernmental Group on Rice convened for 24 September at FAO headquarters in Rome. Industrial agriculture news sources such as Agweb are reporting the United States Department of Agriculture’s (USDA) agriculture products exports for financial year 2010, which have just been released. Increased exports of grain and feed at higher values along with increased livestock, poultry, and dairy product exports all helped to push up the forecast for US ag exports in fiscal year (FY) 2010. USDA has said the value of US ag exports for FY 2010 will be US$107.5 billion, up US$3 billion from their May forecast. And their first look at FY 2011 has the value of those shipments projected at US$113 billion, up US$5.5 billion from FY 2010 forecast. “The three major threats to world growth in 2011 are the EU economy tanking due to their debt situation, the U.S. economy going into a recession, and a continuing widening of the Chinese trade surplus. A major near-term risk to the world recovery is a potential spillover of the crisis brought on by high government debt in Greece, Portugal, Spain, Italy, and Ireland.